Two weeks with a Kindle Paperwhite. After my poor Nook Simple Touch Died, an early adopter who’d upgraded, saw my distress and very kindly donated her old Paperwhite to my cause. So, here are my thoughts. 1. I am really enjoying not having to go through the extra steps to side load things when I purchase from kindle. 2. The light is less noticeable than I suspected it would be, on the very lowest setting (you can’t turn it all the way off without hacks) there are just a few angles or positions where it is irksome. 3. It is also a benefit, because at night if I wander off and leave it somewhere, I can turn off all the lights and find it from the glow. 4. It is also way easier to check out books from Overdrive/library. 5. I still miss the side page turn buttons. 6. I’m struggling to get used to the menu set up and the fact that taping the middle of the screen doesn’t bring up said menus. 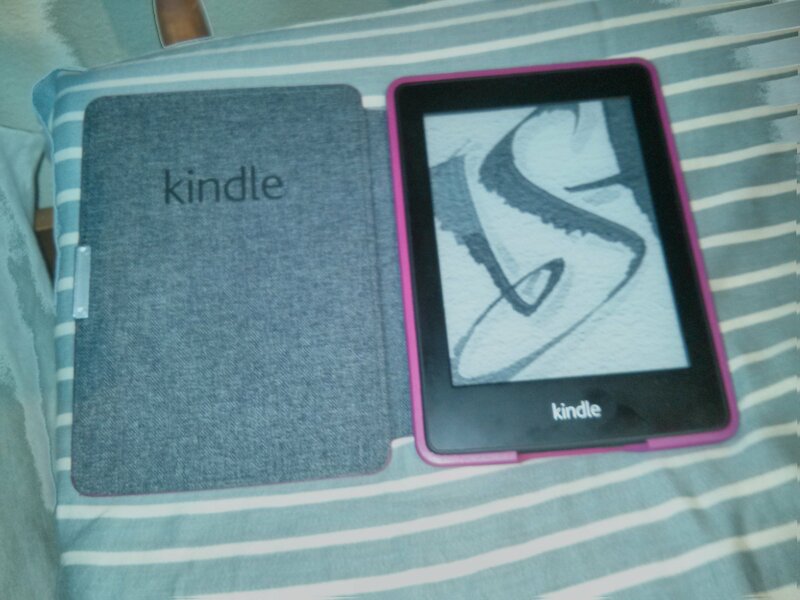 Now that I am in, I will probably never get out again, and unless Google comes out with an actual eink tablet (please do that Google, I’m ready to gorge until I die on a Scribd subscription), I will forevermore be a slave to the Kindle ecosystem.